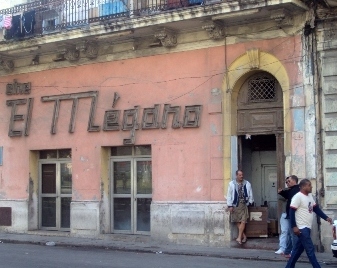 Once there were more than 130 movie theaters in Havana. 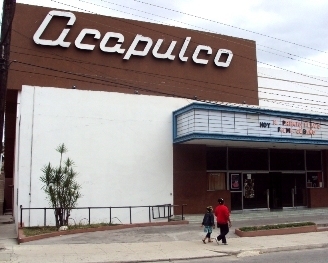 Many of them were built during the peak days of Hollywood and 1950s cinema. 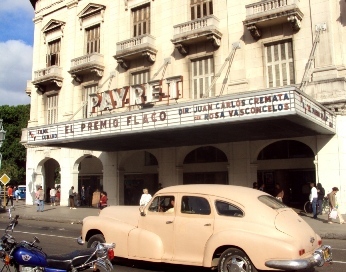 During that era, the latest films from Europe and Mexico screened in glamorous Havana theaters with grand lobbies and elegant interiors. 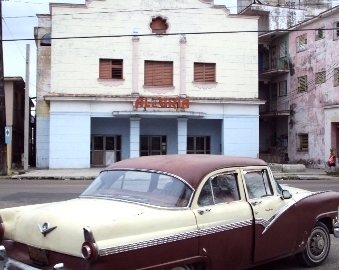 After the Cuban revolution, Havana's movie theatres were nationalized. Some were transformed into youth centers or housing, others are now parking garages. Admission is about eight cents, so everyone can go, but most of them are now quite run down. Its seats have seen better days and the air conditioning doesn't always work, but the theatre still draws patrons every night. 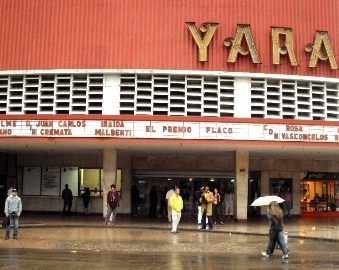 Cuban moviegoers don't just sit and watch a movie. They like to talk, shout at the characters on the screen, cheering the hero and yelling encouragement during the romantic scenes. Located on the Rampa, it has 1464 seats. There is a main auditorium for features and two smaller rooms for videos. You can buy souvenirs of movie posters and other memorabilia in a lobby shop. 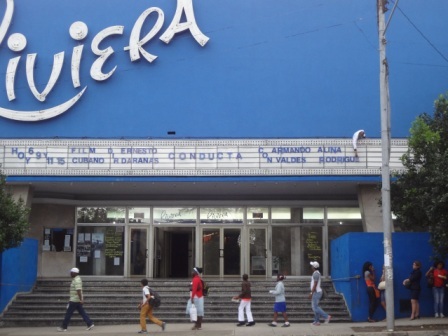 There are also smaller suburban cinemas like the Alegria (originally called the Maria). Most feature children’s matinees on the weekend, with cartoons a favorite.